Valrico resident, Ben Osenton, is only a few steps away from earning the title of Eagle Scout, which has been a tradition for the Osenton family. Ben’s grandfather, Owen Osenton, was an Eagle Scout and so is his father, Reggie Osenton of Osenton Law Offices in Brandon. One of the major milestones to become an Eagle Scout requires the applicant to perform a service project that demonstrates leadership, involves supervising others and benefits an organization other than Boy Scouts. For Ben’s service project, he wrote a book and will be supervising his fellow scouts of Troop 11 in the distribution of the book to 11 local pediatricians and hospitals. 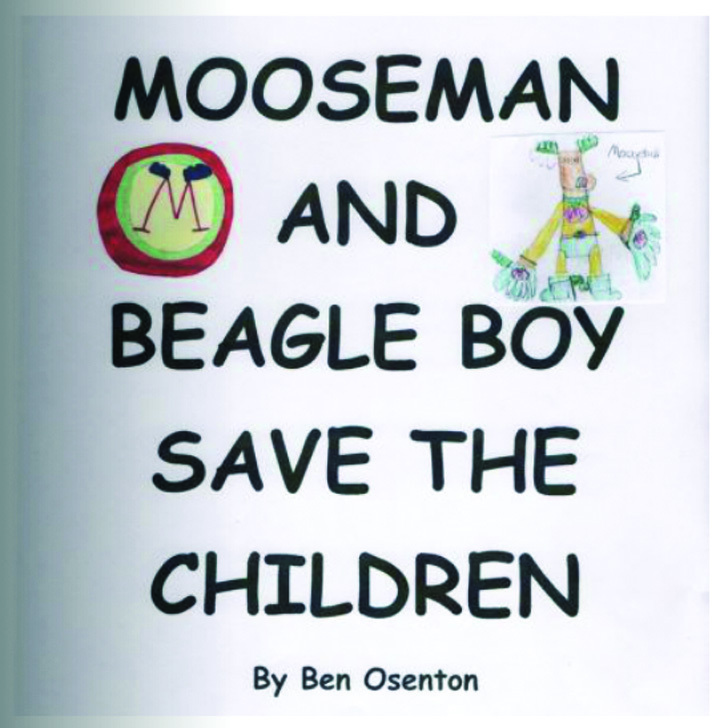 Ben solely authored and illustrated “Mooseman and Beagle Boy Save the Children,” which Ben described as a story about a superhero who tries to save children with cancer. “I saw a picture of a superhero named Mooseman in a learn-how-to-draw book,” said the 18-year-old senior at Durant High School when asked how he came up with the story. It took Ben about one month to put together the book with the help of both his parents, his one-on-one aid from Durant, Gretchen Ross and Eagle Scout, Tanner Chastain. Ben has handed his book out to friends and family members but also will be handing them out to places like Shiners Hospital for Children in Tampa where he has been a patient for surgeries related to Duchenne Muscular Dystrophy, and his physician, Dr. Curtin at Healthpoint Pediatrics. “I’m extremely proud,” said Reggie about his son. “Not just this project but everything. Staying with scouts, achieving his ranks, just in general. As much as possible, he hasn’t let it slow him down.” Reggie mentioned Ben has gone above and beyond the requirements to achieve Eagle Scouts, including earning a total of 37 merit badges when there is only a minimum of 21 required. Ben has been involved in Boy Scouts since he started as a Tiger Cub in kindergarten and has been part of his current troop for around seven years. The book can be read for free or purchased for $23 at http://www.bookemon.com/book-profile/mooseman-and-beagle-boy-save-the-children/305253. For more information, contact Reggie at oro@brandonlawoffice.com or 654-5777.